At Ambar we recognise the need for improved access control systems which are more adaptable and scalable. We supply a wide range of innovative Salto products such as the Salto Virtual Network and XS4 access control platform. The electronic escutcheons, wall readers, on-line and off-line control units now manage security access for a growing range of end users from Airports to Hospitals, Banks to Government Buildings and Universities to Hotels. Our Locks can be retro fitted, using virtual or wireless networks, to existing buildings which keeps installation timeframes and costs to a minimum. 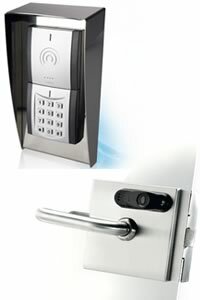 This is an excellent feature if you want to introduce access control to older buildings, or considering upgrading an older system already in place, by avoiding expensive disruptions and potentially damaging construction work. Salto are the fastest growing electronic access control Company in the world and due to its focus innovation is rapidly becoming the benchmark for all such installations. With a presence in five different continents and over 700,000 doors equipped with Salto to date. The power of the Salto Virtual Network (SVN) allows people to work wire free, enabling them to manage their key control requirements efficiently, flexibly and cost effectively. Click the link opposite to find out more about SALTO and their commitment to provide one of the most advanced access control systems on the market today.